We are trying to communicate with you. Local reality has been reinstalled. Finding Ethan Crane is your supreme priority. We are speaking to you from the ultimate bunker within the structure of multiversal time. Do not trust Darius Dax. 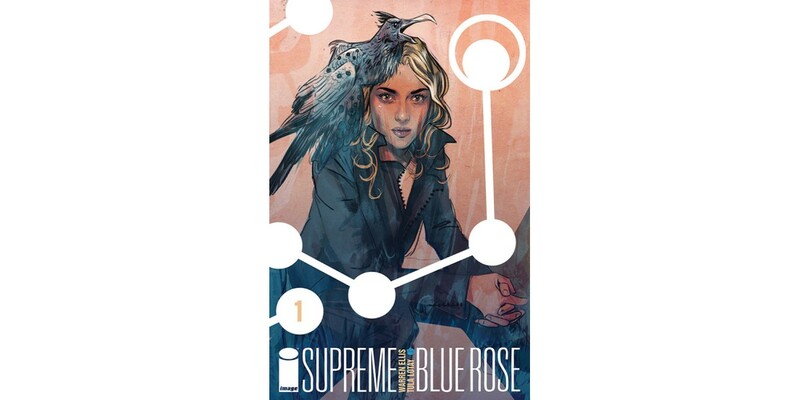 Warren Ellis (TREES, Planetary) teams up with Tula Lotay (ELEPHANTMEN, The Witching Hour) to re-introduce the central Image Comics character in SUPREME: BLUE ROSE, coming this July from Image Comics. "One day I woke up with an idea, that came out of nowhere, for how to extend this most strange and storied of 'analogue' properties into a new space. A new floor on top of Alan Moore and Rob Liefeld's house,” said Ellis. “And, since I had some time on my hands that year, I emailed Image, and we got my friend Tula Lotay involved—and her work will be a revelation to people." SUPREME: BLUE ROSE #1 arrives in stores on 7/23, and will be available for $2.99. It can be pre-ordered with Diamond Code MAY140571.